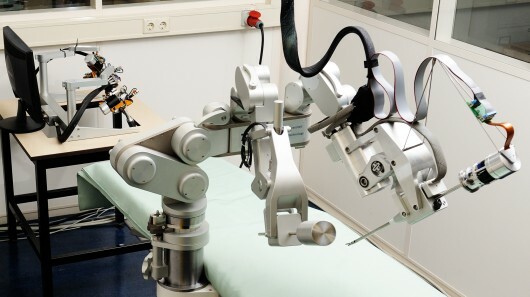 Development of a next-generation robotic master-slave system for minimally invasive surgery (MIS). The system provides surgeons with increased precision, a unique compact layout, high-dexterity instrument manipulation and haptic feedback. These features enable surgeons to perform better surgery, decreasing complications afterwards, while the system design allows for a relatively low-cost solution. Research currently focuses on implementation of haptic feedback in multiple degrees of freedom (DoF), optimization of the mechanical design of the slave robot and a dedicated eight-DoF haptic master console design.